So, im new to the raspberry pi. 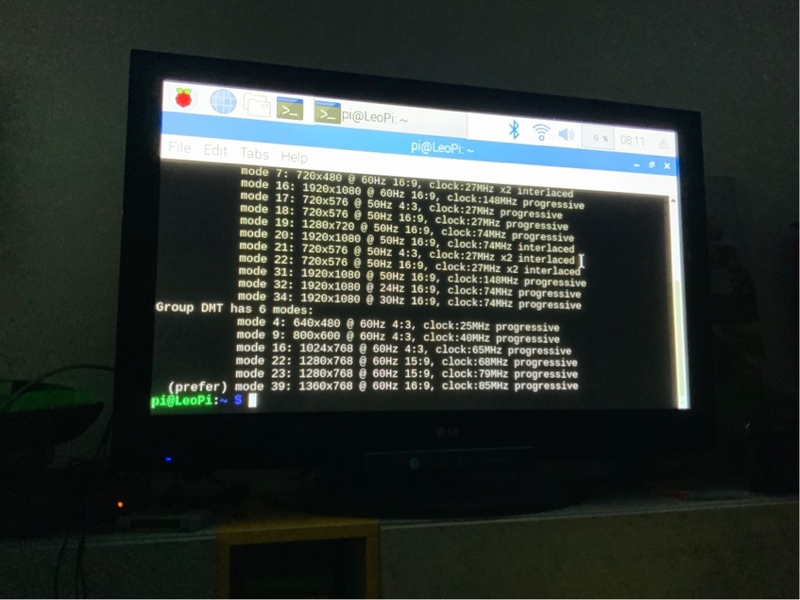 When i first started it and installed the raspian os with noobs, it had fine resolution. 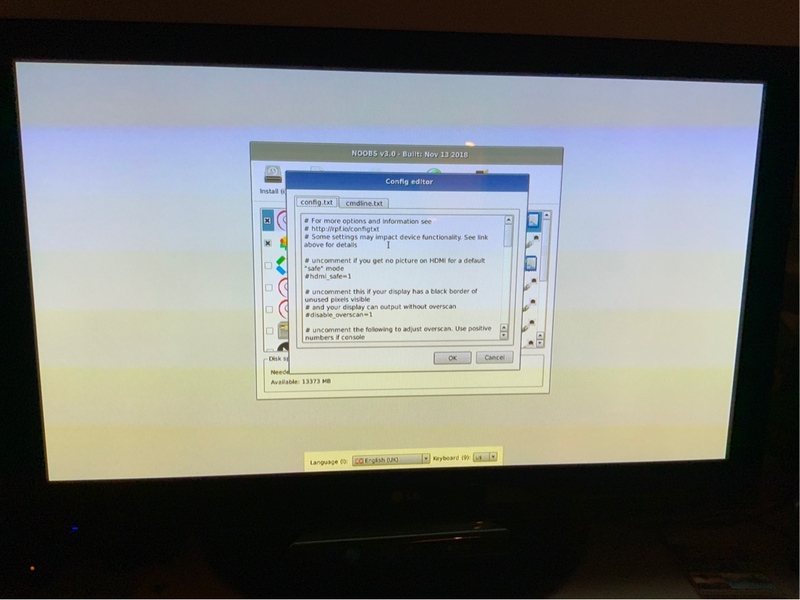 But then i rebooted, and for some reason the noobs menu was in alright resolution but when raspbian os started up it hat a really small resolution that was way behind the maximum of my TV! I am plugged in trough a HDMI cable on my TV that has a resolution a bit better than 720p resolution. Anyone knows whats happening? 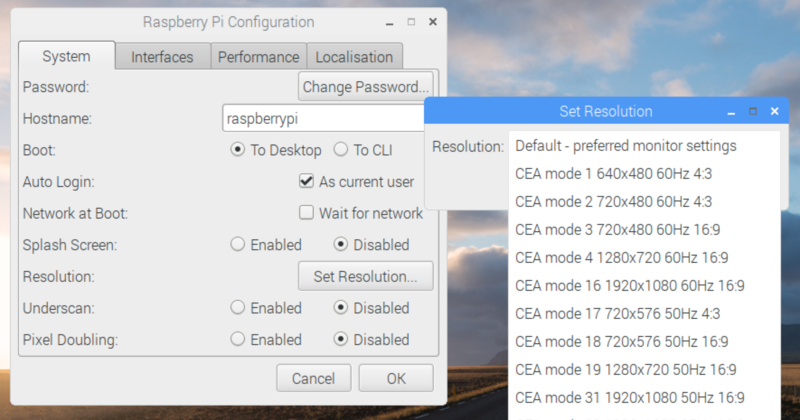 Under the applications menu, select Preferences,Raspberry Pi Configuration. Then select 'Set Resolution' and choose your resolution. 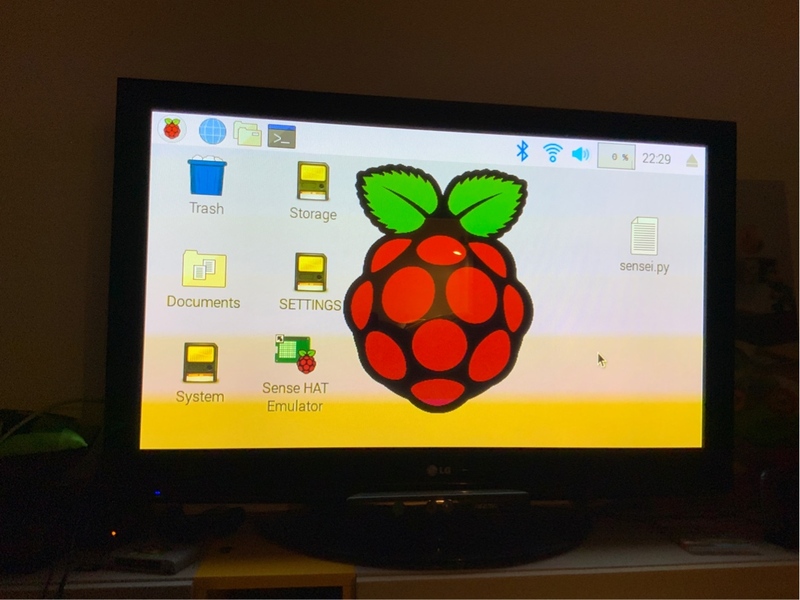 Ok, so i have disabled overscan in the raspberry pi configuration menu and now it works! Not the answer you're looking for? 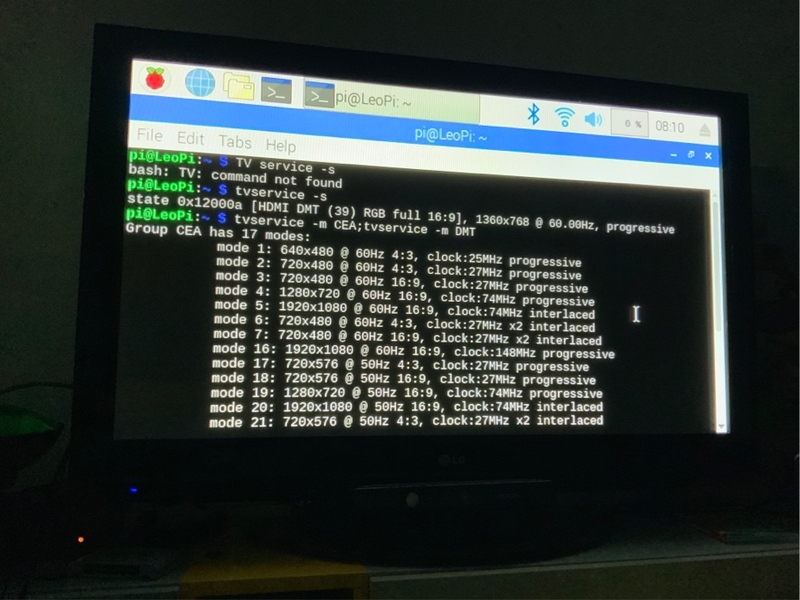 Browse other questions tagged raspbian pi-3 hdmi video noobs or ask your own question.